Tune into Radio Carly: Travel tales: the shirtless male model. Excitement about BlogHer. Travel tales: the shirtless male model. Excitement about BlogHer. Mum and I walked down 5th Avenue, browsing the high end shops. And we passed a store with a line of excited women. And then saw a man in the window, with his shirt off. And so we backtracked and had a better look. He is an Abecrombie and Fitch model. The staff were taking polaroids of him with customers, and they let us take our own photos too. This guy is hot and lovely. He hugged me tighter. I die. He asked me where I am from, and we talked Sydney vs Melbourne. He picked up my sunglasses when I dropped them. And I stood back to have another look. We were on 5th Avenue to check out where BlogHer is being held tomorrow. So excited! I have been looking forward to BlogHer for almost one year. I cannot believe it is here. I am so passionate about blogging and I know this will be a chance to make new friends, learn new skills and promote my blog to the right people. Barack Obama will address the audience by video link. Yes! What an amazing opportunity. The power of blogging is huge. I commented at the Appearance Matters conference that I love how it allows people to tell their own stories, and creates a more diverse mediascape. I bang on about it a lot. But I can't be more grateful for blogging and the path it has helped me to pave. And whenever I have a conversation with people who dismiss the worth of social media, I tell them how it has helped me. I can't make a diagram, but I can use the greater than sign. 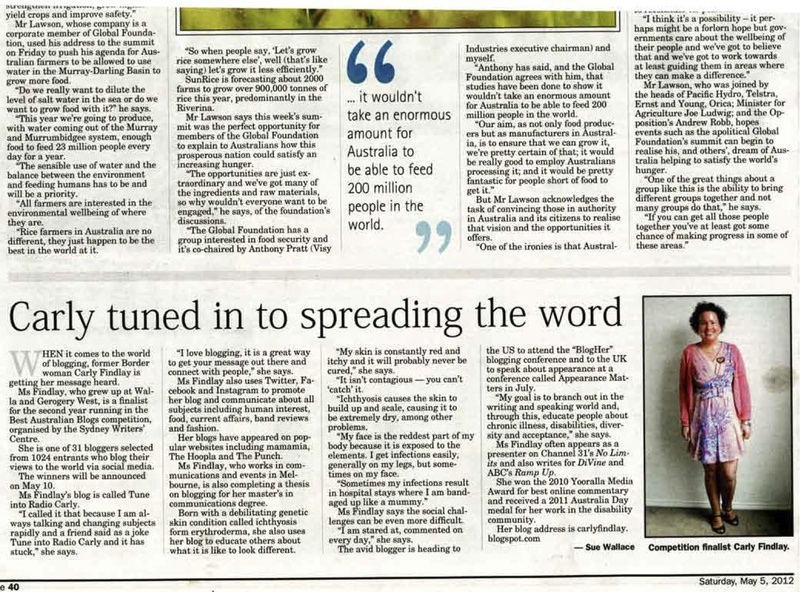 Blogging>freelance writing>more media work>public speaking>awards>wonderful friendships>online support>connections with the ichthyosis community>consultancy work>thesis>speaking at a conference in the UK after my blog was discovered>BlogHer in New York City. I love this! Barack Obama wow what an opportunity. Great to see you're enjoying the Big Apple! OMG you got to touch him! When I first saw that picture I just thought it was one of those awesome pose next to a cardboard cut out type thing. 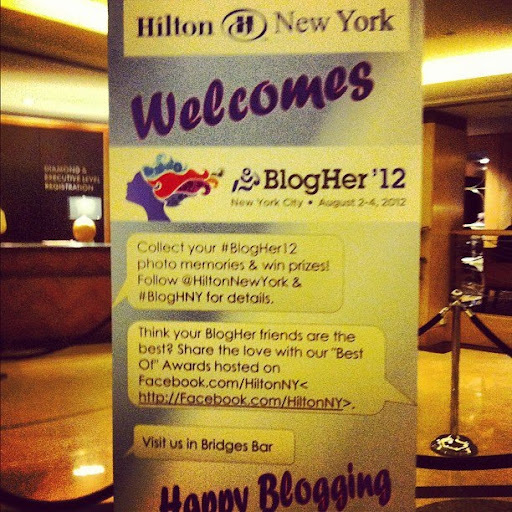 Have a brilliant time at Blogher. I'm so interested to hear about it. Ahhh I'm so excited for you!! Are you kidding me? You meet a hottie AFTER I go home?!? Not fair. Not fair I tell you! Dear Carly, Mandy and I are so glad you and Jeanette are enjoying New York. It's lovely to see her in your photos. (we all met on Flinders Island in April) please pass on our best wishes to her too. Hope you continue to have an amazing experience and remember to pace yourselves. Or not!!! We look forward to reading more about your New York experiences. Big hugs and love, Kerry and Mandy.